The church of our Lady and the English Martyrs (OLEM) wedding, Cambridge. William and Diana had their wedding ceremony in the beautiful Church of Our Lady and the English Martyrs in Cambridge city centre on a wet and dark Autumn day. I’d met William and Diana for coffee in Cambridge some six months earlier and had been looking forward to photographing their wedding in this gorgeous church. For those of you not from Cambridge, OLEM is renowned as one of the most beautiful Catholic Churches in England, set on Hills Road in Cambridge. It is a very large church with beautiful gothic revival architecture, building work finished in 1890. 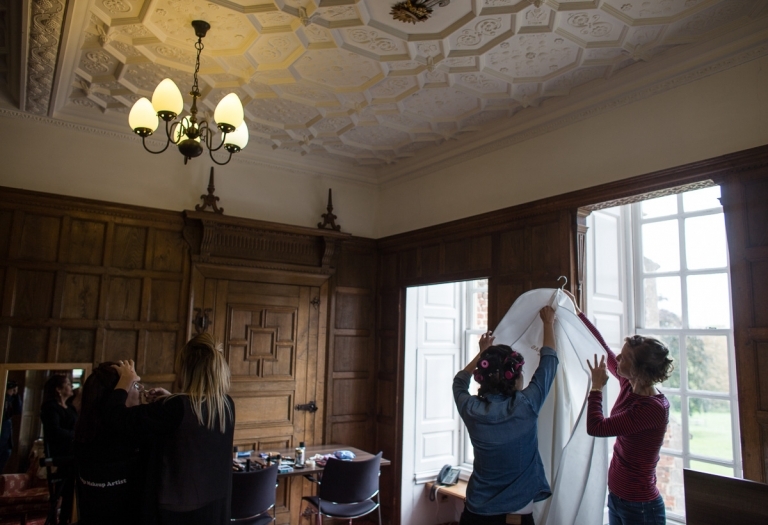 My coverage started with William and Diana getting ready at Madingley Hall just outside of Cambridge, a beautiful building owned by the University of Cambridge, this was also the venue for the wedding reception. I then travelled with Diana in the bridal car to the church for the ceremony. The weather was dark and wet and the darkness seemed to make the church interior look even more impressive. 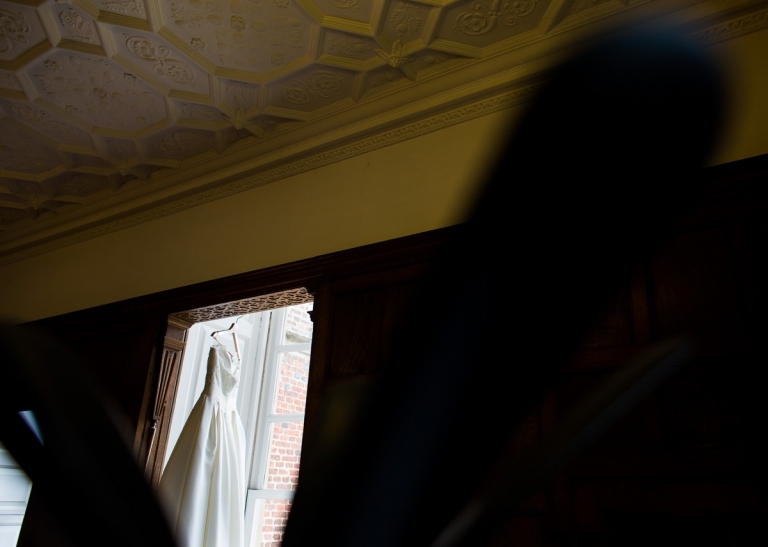 Madingley Hall wedding photography, Cambridge. After the ceremony I travelled with Diana and William back to Madingley Hall for the reception, the damp weather put a bit of a stop to many outside photographs but we did manage to get a few in. Madingley Hall was built in 1543 and has been in Cambridge University’s possession since 1948. 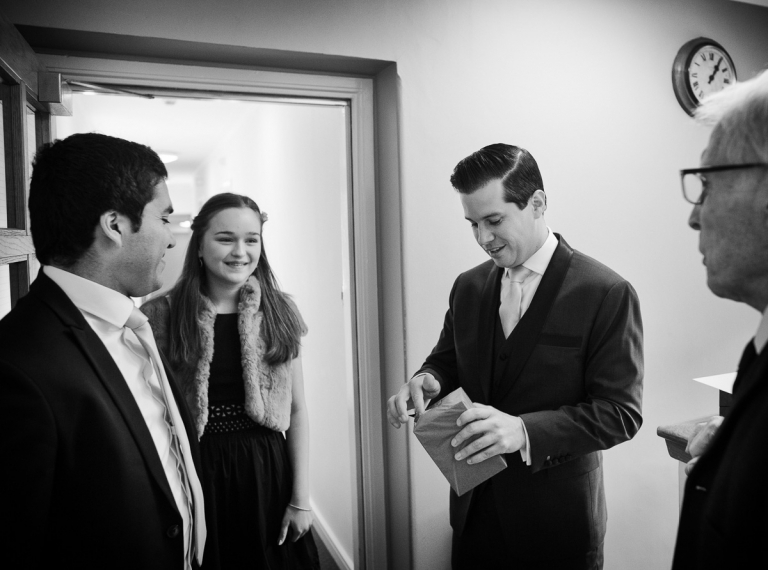 After dinner and the speeches there was a musical performance featuring Jack Patterson from Clean Bandit on keyboards, Jack went to University in Cambridge with William and was a guest at the wedding.